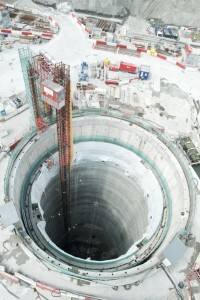 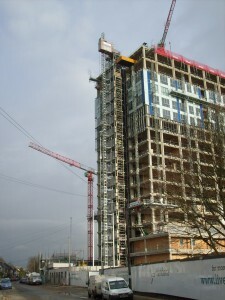 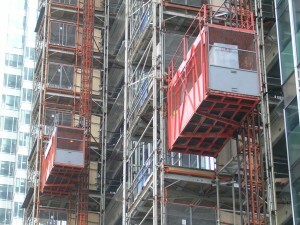 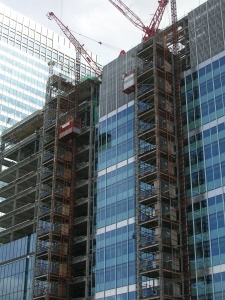 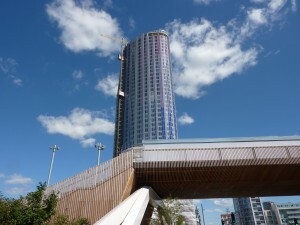 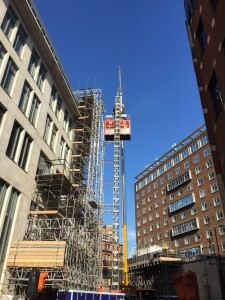 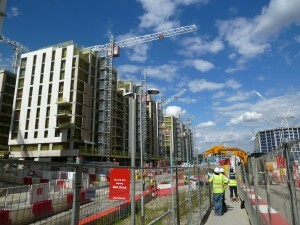 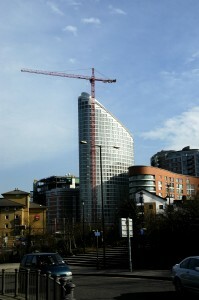 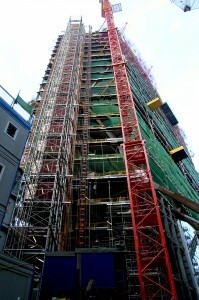 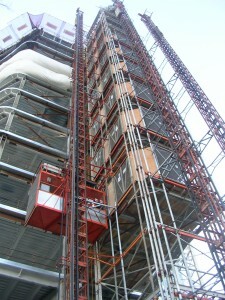 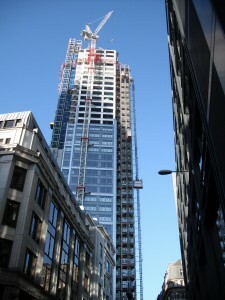 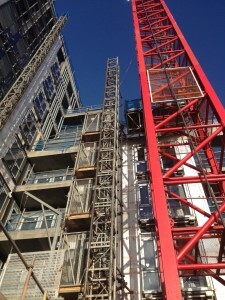 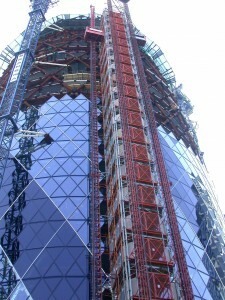 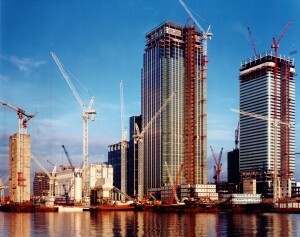 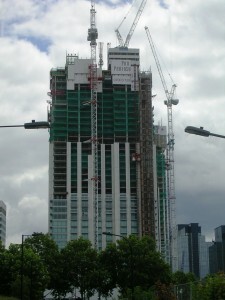 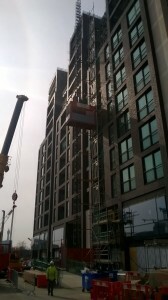 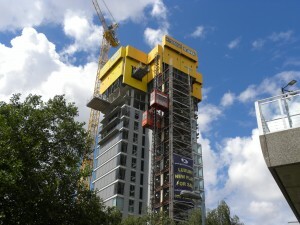 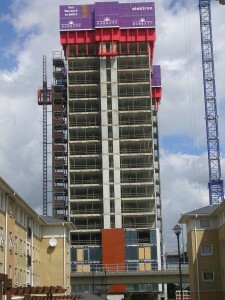 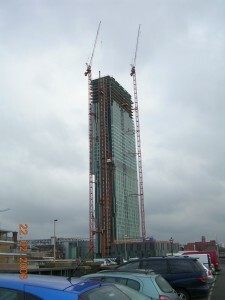 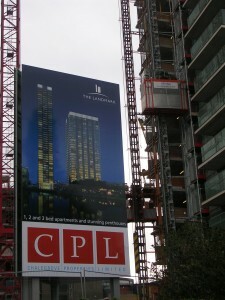 On both towers the hoisting arrangement consisted of a large gantry manufactured and installed by UBS. 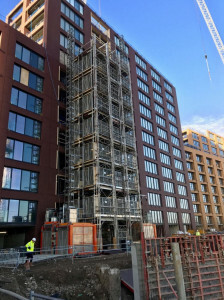 Both gantries were able to take the loads of a 5mtr square Common Tower System and new twin GJJ high speed passenger & material hoists up to a height of 74mtrs. 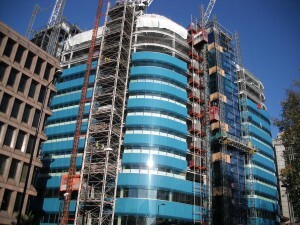 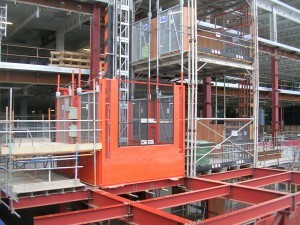 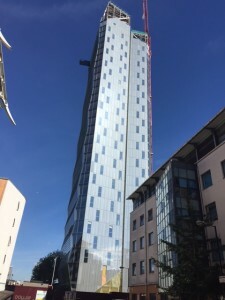 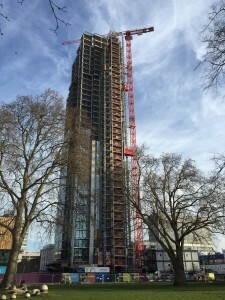 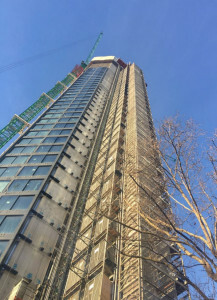 Based on the ground and attached to each tower was a large, 2mtr x 4.8mtr, standard speed passenger & material hoist to be able to take the large cladding panels up to the various levels.